The farm hydroponically grow sprouts, make silage of highly nutritious maize and sorghum, fresh rye and other grasses mixed with plenty of grains and minerals, Always an end-less supply of drinking water ensures that the cows are never thirsty. We believe that well fed cows are not only healthy but also produce healthy milk. 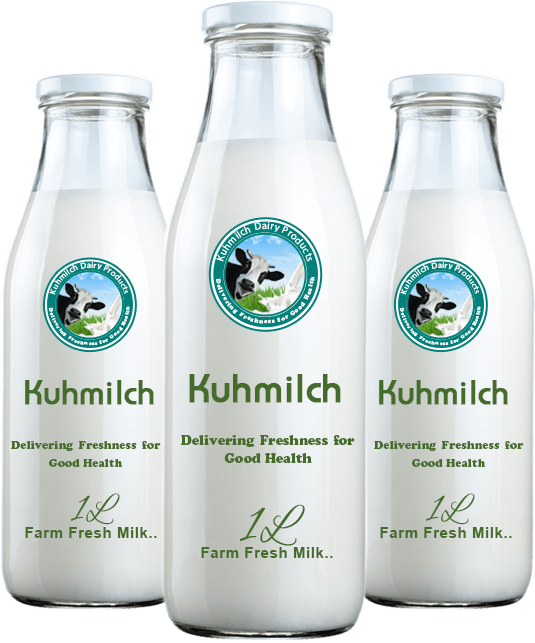 The story of Kuhmilch Dairy begins with a brand new dairy farm at the outskirts of Delhi. A dairy farm that has just one breed of cows (Holstein Friesian), who are happy, fed good chemical and pesticide free stuff like grains/vegetables and grasses, properly housed with fans that look like coolers and bathed multiple times a day. All in all a real home for cows! !